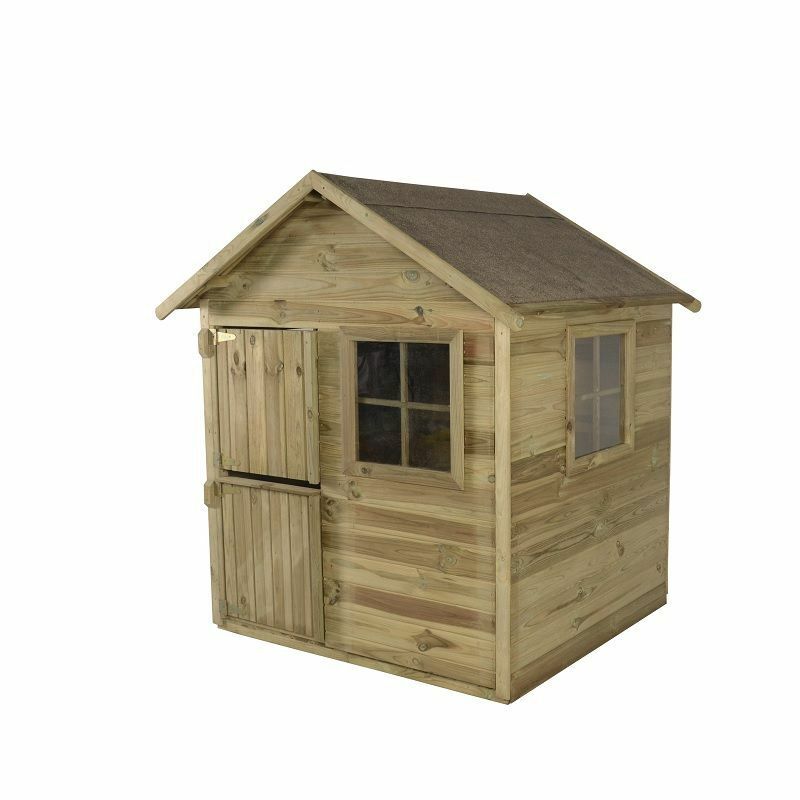 This gorgeous Forest Sage Playhouse will entertain your children for many years to come due to its extra eaves height – they won’t grow out of it before they are ready to. 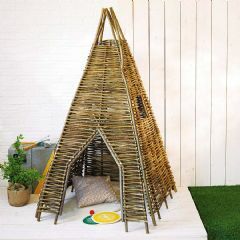 Traditional square windows featured on both sides of the wooden playhouse allow plenty of natural light in and mean you can keep a discreet eye on your children while they play. Built with children in mind and fully EN71 certified, the two styrene windows are shatterproof to prevent any possible injuries from broken glass. Specially designed door hinges ensure that little fingers won’t get caught and your children can play safely. Generous 158cm (5'2"ft) apex and 102cm (3'4") door height enables children up to 10 yrs to play and stand inside without crouching. High quality 12mm thick tongue and groove boards are used throughout with the wall panels having as shiplap profile to aid water run-off. The Sage Playhouse is manufactured using pressure treated timber, which gives it a 15-year guarantee against rot and fungal decay. 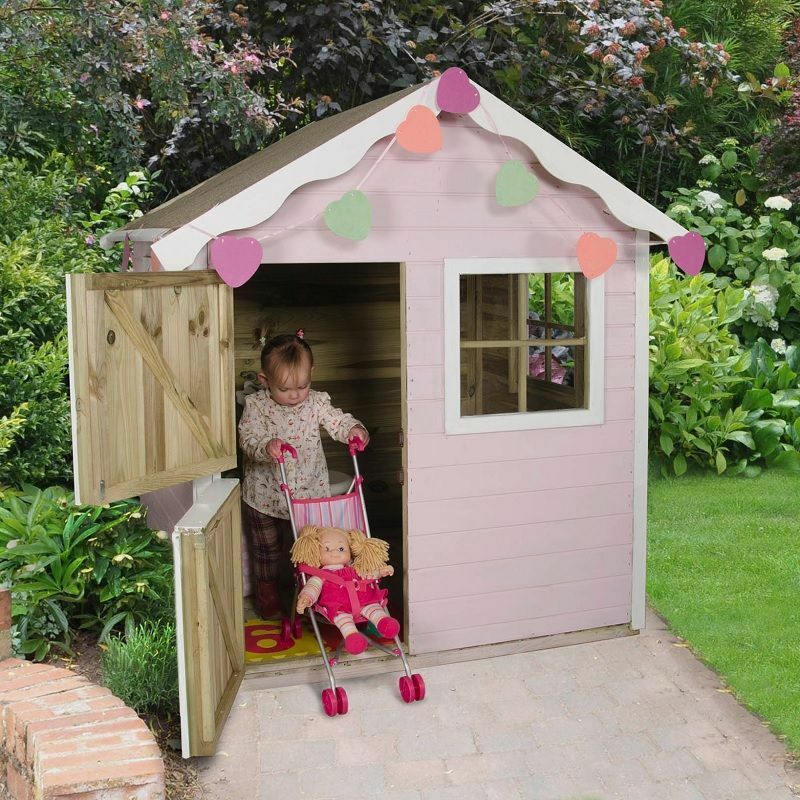 The playhouse is supplied unpainted, so you are free to add your own paint or stain to suit your children's tastes.